Planning a bachelorette party in the Charleston, SC area? Make plans to include a small group yoga class for yourself and your closest friends as you celebrate the bride’s upcoming wedding experience. In our small group classes we tailor the practice to meet the needs of the participants based on level of experience and the goals of the session. 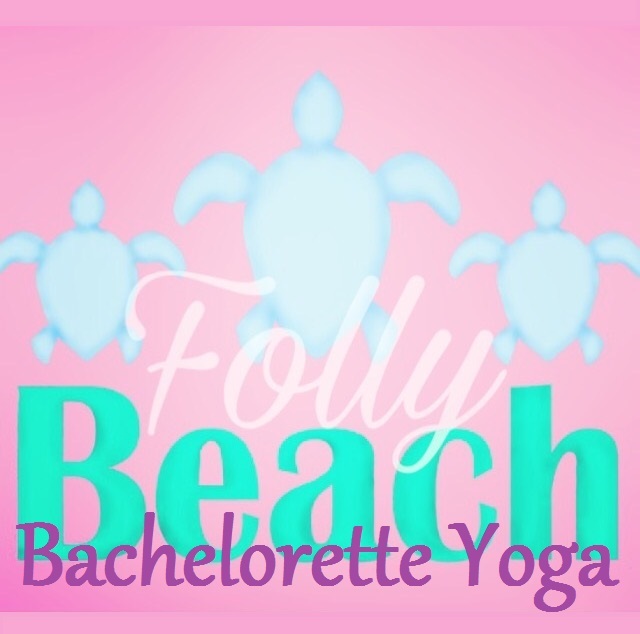 We currently offer bachelorette yoga classes on Folly Beach and Kiawah Island. Both male and female teachers are available for private lessons and small group classes. On Folly Beach, we offer private sessions at the 5th Street East beach. This stretch of beach is wider than most of the island and allows greater flexibility with tides, is connected to a paid parking lot and has some nearby limited free street side parking (please be sure to follow local parking rules if choosing the free parking spots), and is within viewing distance of the pier. Click here to contact us and plan the perfect bachelorette yoga class for your wedding party. Remember to check out our other wedding yoga packages, and consider visiting us for a public class as well.